StudioPress Theme Discount and some free stuff, too! Many of you know I recently moved to the StudioPress Enterprise Child Theme and I love it! I’ve also worked on many clients themes on the Genesis Framework as well. Chris Brogan recently made the move to Genesis and Mashable recently named Genesis the “best of the best” premium WordPress themes. If you’re looking for a theme you can customize yourself the StudioPress Prose Child Theme may be right up your alley. Prose is an elegant theme with point-and-click design controls. With Prose, you can easily change things about the appearance of your site (like colors and fonts) without knowing anything about code. As the year comes to a close, StudioPress is doing some house cleaning on some of the coupon codes they have out there. This is a great opportunity for you to grab up a fresh theme for your blogsite! USE code WPSV25 to purchase your StudioPress theme now, it will be expiring on November 30, 2010 and the inside scoop is this may be the last coupon they ever run! 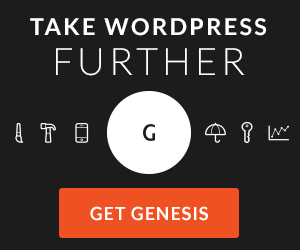 BTW, if you have already purchased the StudioPress Genesis Theme Framework for a previous theme, you only need to purchase the Child theme, not both. New! Black Friday Coupon code. This will be the LAST Coupon Code offered by StudioPress, Ever! Use Code BLACK for 25% off anything on the StudioPress Site, through Tuesday November 30, 2010. How about we make things a little sweeter? 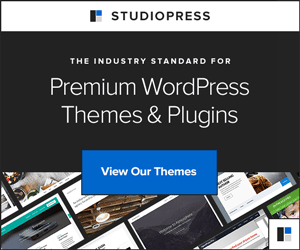 After we install WP for free, if you use one of the affiliate links above to purchase a Studiopress theme, we’ll go ahead and get that in there for you, too! Not a DIY’er? Not a problem. Eco-Office Gals offers several WordPress Design Packages to make your theme pop! Disclosure: Many of the links in this post are affiliate links, I do receive a percentage of the sales from your purchase.